At least 36 young men and women from refugee families were preparing to join Pope Francis but visa problems and lack of funds are preventing them. Instead, meetings and moments of prayer will be held to show union with Pope Francis. The situation among refugees remains critical as limited resources cannot meet their many needs. Erbil (AsiaNews) – A group of 36 young men and women from Iraqi Kurdistan, aged 18 to 23, were "eager to participate in the upcoming World Youth Day (WYD) in Panama from 23 to 27 January; however, visa-related red tape sank their project,” said Fr Samir Youssef, parish priest in the Diocese of Amadiya (Kurdistan), speaking to AsiaNews. 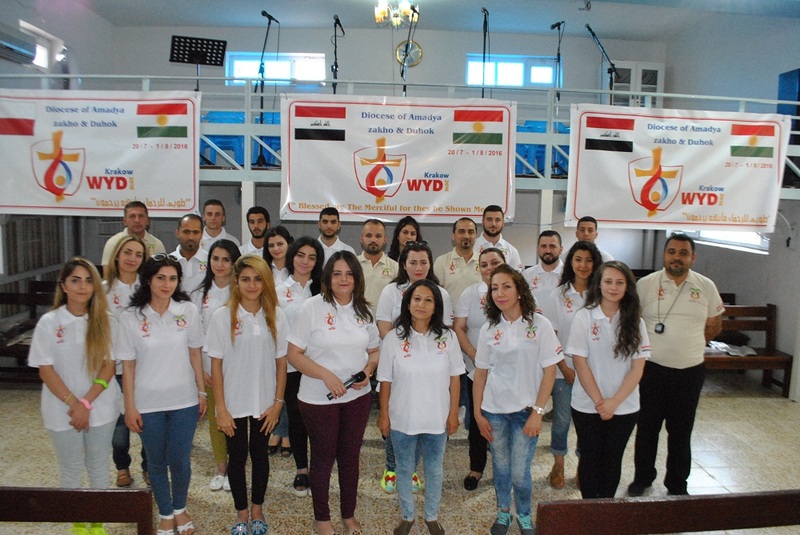 Over the past few years, the clergyman has helped thousands of Christian, Muslim and Yazidi refugees after they fled Mosul and the Nineveh Plains in the summer of 2014 when the latter fell under the control of the Islamic State group. "More than a year after the Caliphate’s military defeat, the situation in our area is still one of great emergency and many needs,” he explained. In organising the WYD visit, he came up many obstacles. "First of all, there was the time required to issue a visa: at least six months. Then, there was the lack of communication. We wrote several emails to Panama’s diplomatic representation but received answers only in last few days, after a long delay”. “We feel sorry for the young people of Amadiya and Zakho who wanted to leave with their comrades, priests and a couple of nuns, but it was not possible,” Fr Samir explained. During the WYDs in Poland (when young Iraqis enjoyed AsiaNews’s support) and Brazil, "we had far fewer problems, and not only in terms of red tape." Another thing that "penalised us was monetary. The trip to Panama, via Dubai, was very onerous and it was hard to find sufficient funds". The refugee emergency remains a priority – money and funding are needed to support basic projects at a time when donations for Iraqi Christians have dropped, also because of the economic crisis. If money and red tape were not enough, timing complicates matters "This is not the best time to travel for our students,” noted Fr Samir. “School just re-opened. For university students it is exam time. So, few people can leave, even for a short period of time. After all, education is key to building a future to overcome war, violence and fundamentalism." "After the liberation of Mosul and the Nineveh Plains, several families went home, but many others are still here and need a lot of economic support to meet their needs." "We cover transport costs for dozens of elementary and middle school students", the priest noted. But “There are fuel shortages, and electrical power is available only for ten hours a day. There is no work, it is hard to find clothes and medicines and bad weather with heavy snow has made traveling difficult." Still, problems and difficulties have not prevented young people from finding new forms of participation in the life of the universal Church.